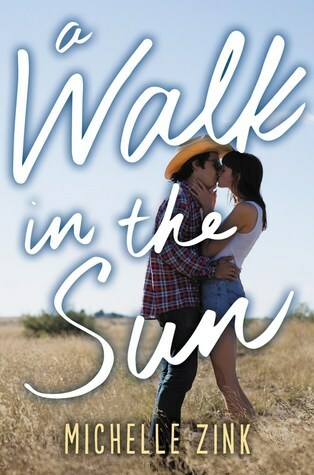 Summary: In this Bridges of Madison County for teens, Michelle Zink weaves a magnetic tale about summer love that stays with you long after the seasons change. My Thoughts: This one was so sweet!!! It’s a little country novel that just makes your heart melt! We are introduced to Rose who lives on a farm with her father. Her mother passed away shortly ago and Rose is doing her absolute best to keep the farm going on. She takes care of the day to day tasks, with the help of one of her neighbors! Well, they decide to hire a little bit of help! Another boy comes into the picture named Bodhi! I just knew from the minute I met Bodhi I was going to like him! He had his inner demons but he was also such a sweetie. Bodhi and Rose are both dealing with a lot in life and you put them together, and WAM! A lot of chemistry but also a lot of confusion. I loved the moments they spent together, rather it be just working on the farm or going out in town. I just loved this one. It was super cute and country! I always felt like I was right there with them having to deal with the day to day stuff and than their own problems in their own lives. I also loved seeing how strong they both were. Things got confusing but they found a way to talk, even if it took a while. I thought this one was cute and just what I needed, something light and fun. Overall: I really liked this one a lot! Such a good contemporary! It did get slow in a few parts but it would speed right back up and I’d be into it again! Cover: Adorable!! I love how they are standing there, love the colors, it’s cute!